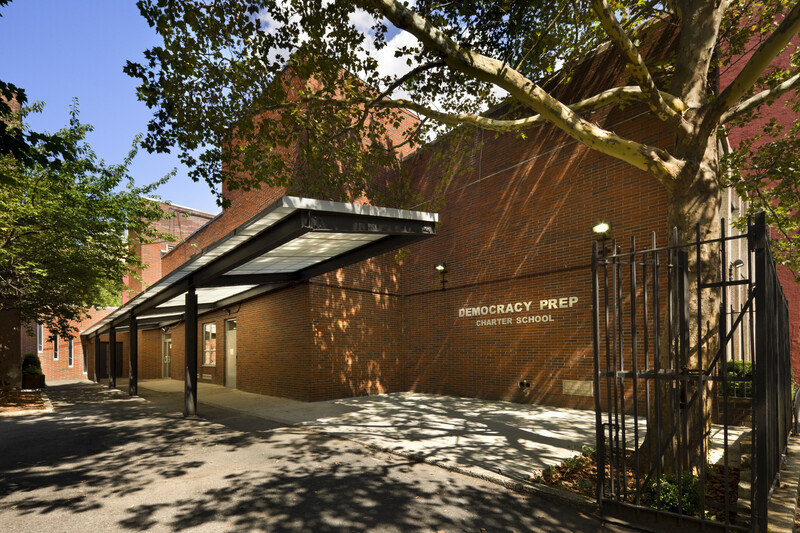 Within a span of just 10 months, this former vestry building was transformed into the vibrant home of Democracy Prep Charter School, serving 350 middle school students. With a tight budget and no government funding, Type A Projects principals managed a thoughtful, value-oriented design process that produced an inspiring space from a neglected, fire-damaged shell and aging infrastructure. Our team secured favorable long-term lease terms from a local religious organization and led a complicated design and renovation process requiring extensive problem-solving and heavy construction oversight. The facility includes 13 classrooms, a library, gymnasium, outdoor play spaces, and administrative offices.